Projected improvements to the roadways in the area are superimposed on this photo, which looks south on I-75. It’s always Halloween at Big Bend Road and I-75. The traffic horror show that fills drivers with dread is one of the worst areas in the Tampa Bay area for backups during morning and afternoon rush hours. But Christmas is coming, earlier than expected. County officials say long overdue upgrades to the roadways, including widening Big Bend Road and lengthening the southbound I-75 off-ramp, notorious for backups, will now start in 2021, with a projected completion date in late 2024. Work will begin in earnest next year with a project development and environmental study to be completed by late 2019, according to county documents released last week. Ronnie McIntyre, who last year launched an online petition to improve the roadways in the area, had mixed emotions after the announcement. “I’m glad they’re going to expedite (the project) and made the choice to put on the new on-ramp … which was still up in the air four or five months ago … it was a conceptual thing, but not necessarily funded … now it seems like they’ve actually come up with the money to do it. So I was happy … disappointed that it’s not sooner, but at least it is going to be done in the next five years,” said McIntyre, whose petition has garnered more than 4,300 signatures. The improvements are a case of too little, too late for Riverview’s Brenda Jones, a fourth-generation Floridian. Jaime Terry, a South Fork resident, is glad the project’s timeline has been moved up. 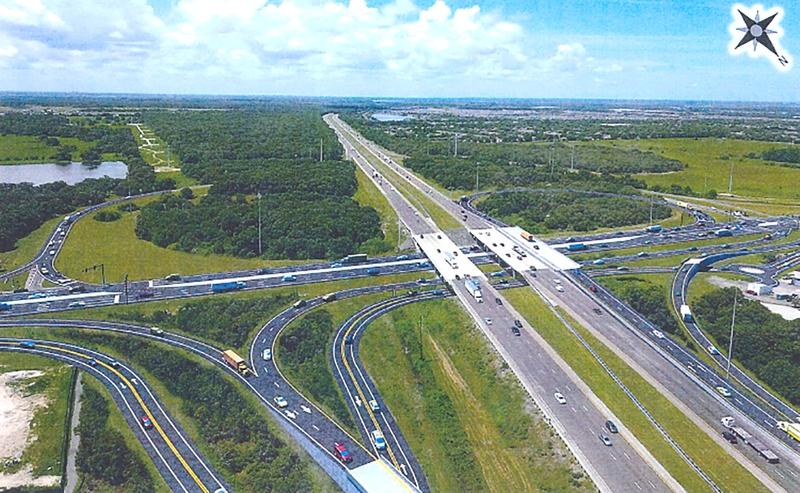 Originally planned in two phases to be finished by 2026, the improvements are now all part of one project with funding from Hillsborough County ($53 million), the Florida Department of Transportation ($8 million) and the federal government ($1.5 million). The county is also applying for a $25 million Build Grant for the project and additional FDOT funding to offset county costs.